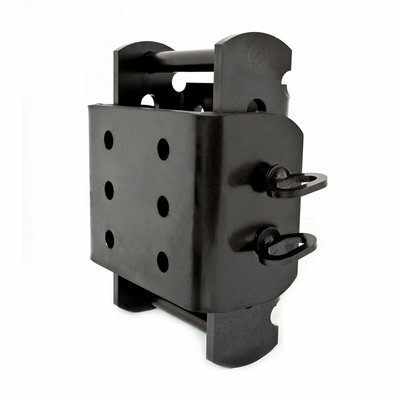 Tow-Trust Towbars Ltd manufacture EC Type Approved adjustable height couplings. 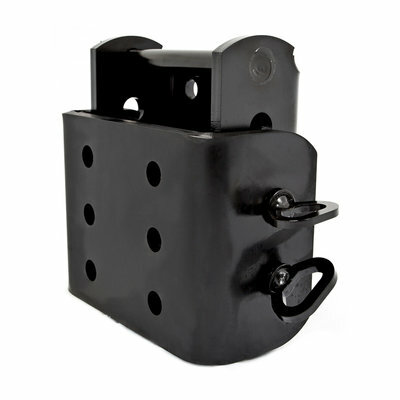 This towing accessory is primarily designed to allow the height of the towball to be adjusted on vehicles that either have a 4 or 6 hole face plates (Please note this should not be used on a towbar with a 2 hole face plate). Easily adjustable by removing the 2x 19mm pins, the height adjustment ranges between 50mm and 100mm of travel. A further 45mm adjustment can then be made by adjusting the towball position on the 6 hole coupling face plate. E-coated for the optimum paint finish, this range of adjustable couplings is an ideal accessory for commercial or off-road vehicles requiring adjustable towball position.